Prototyping a new intake for the NB. It will make a swift 180 out from the TB, and continue alongside the intake towards the firewall. 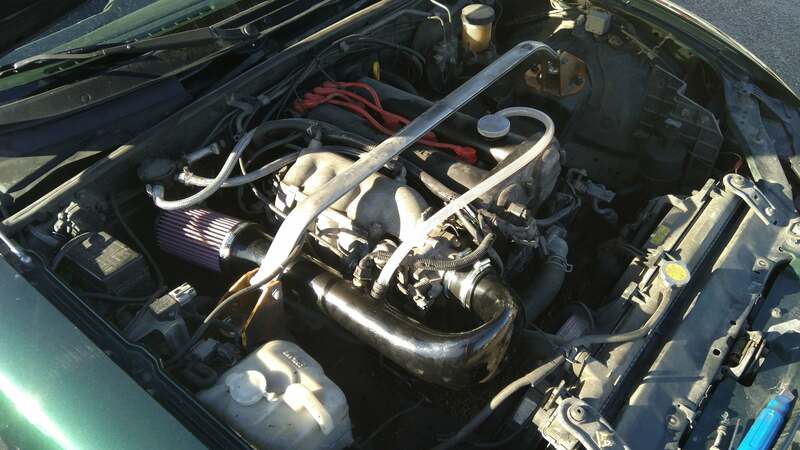 Re: NB Cold Air Intake. 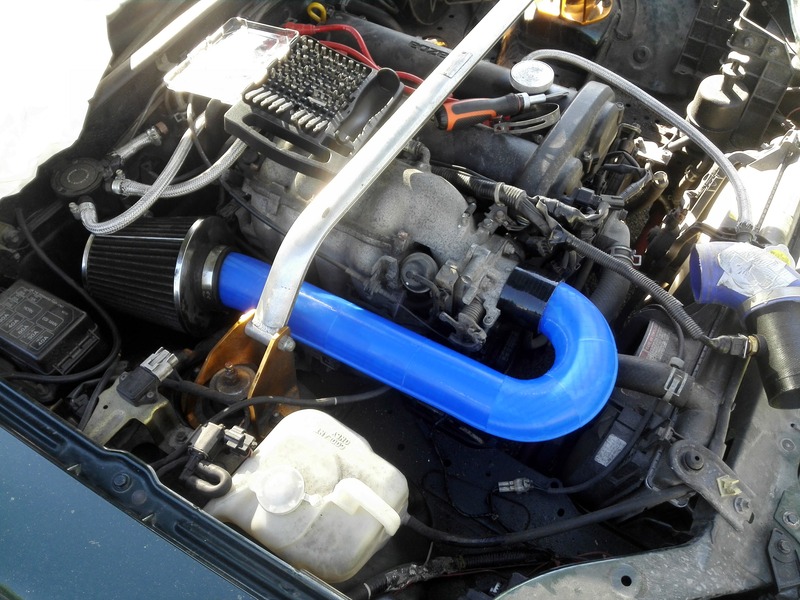 The Miata NB Cold Air Intake is meow in revision 14. It is meow ready for the first prototype. 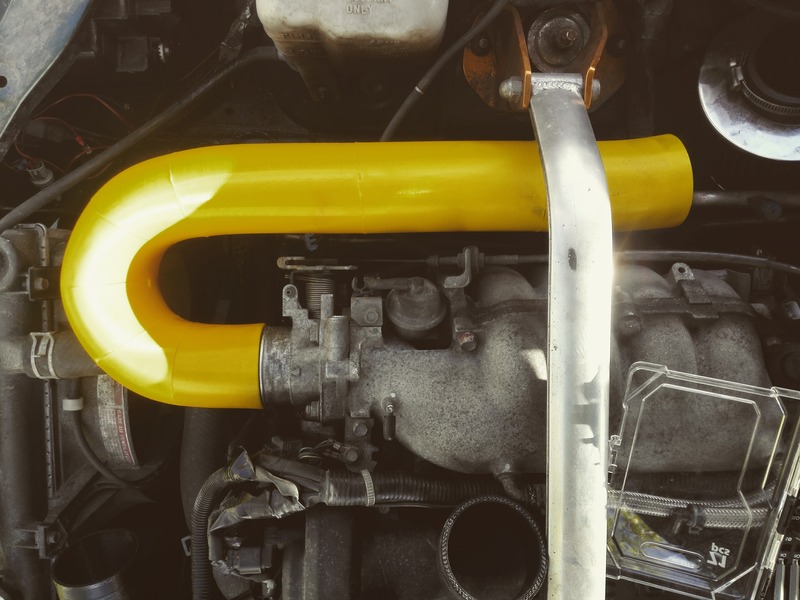 Maybe the first 3D printed intake for the NB? 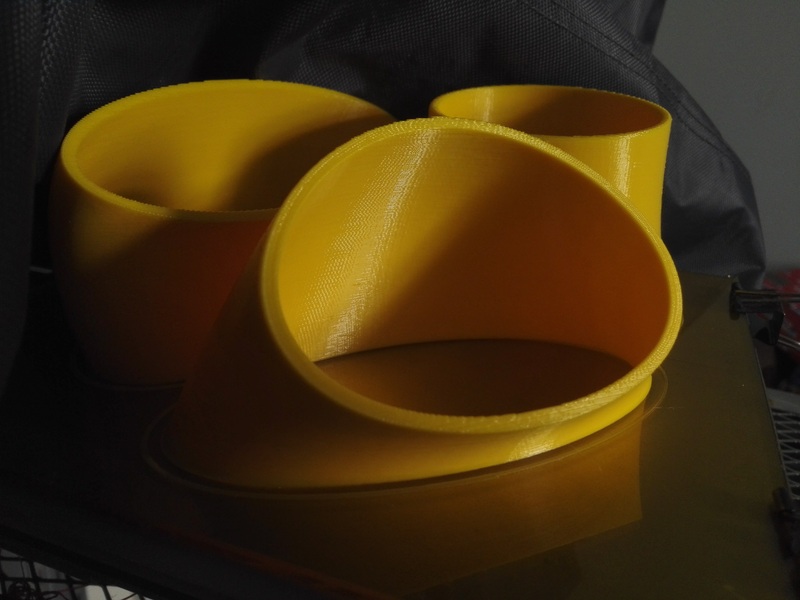 Printed the first prototype of the intake over the last few days. Had no issues printing it, but I had to cut it up in 7 parts to be able to print it without issues. I'll do a test fit today if the weather holds up. 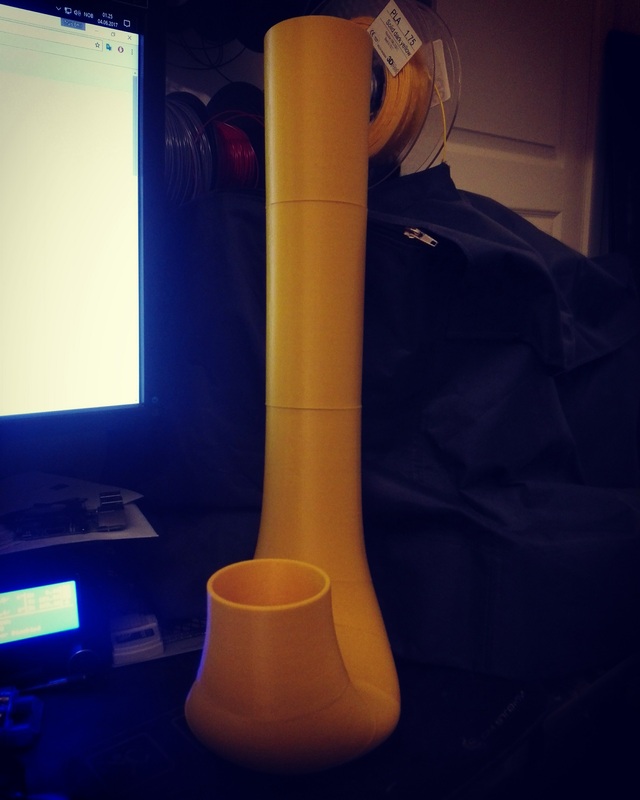 Had to print a new prototype as the other one one had some pretty obvious flaws. 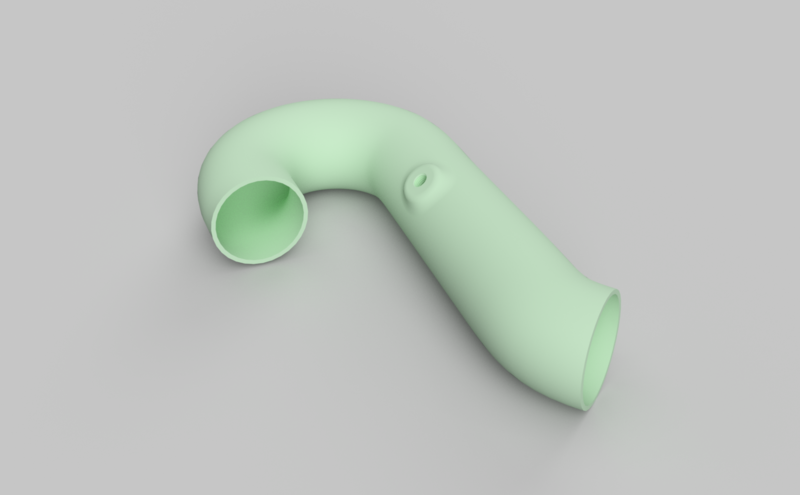 New one is a bit longer and has some added angles to keep it alongside the intake manifold. Fitment was really good, but I have to shorten it about 4cm to make room for my philter. Up next is marking oil breather bung and IAT bung location, as well as a way to fix the intake to the manifold. 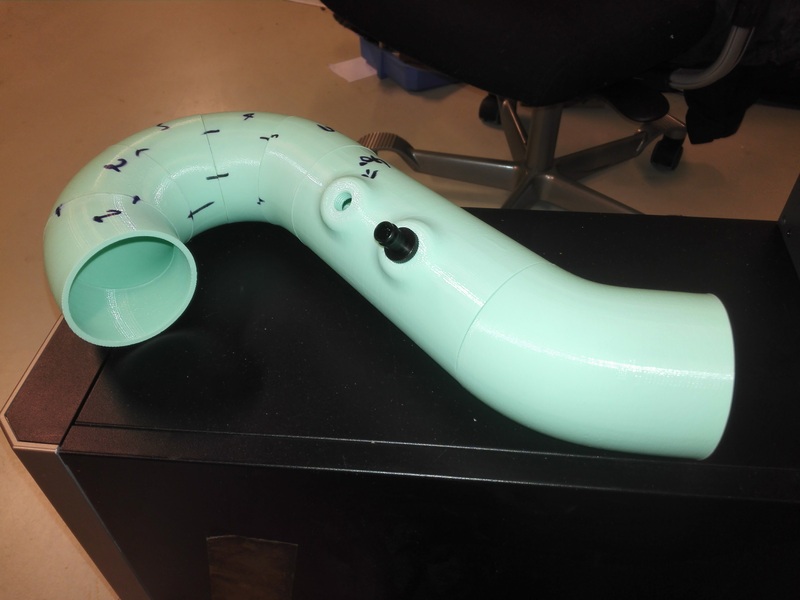 I will from meow on name this the "Saxophone Cold Air Intake" or SCAI for short. I've done more extensive testing of this. 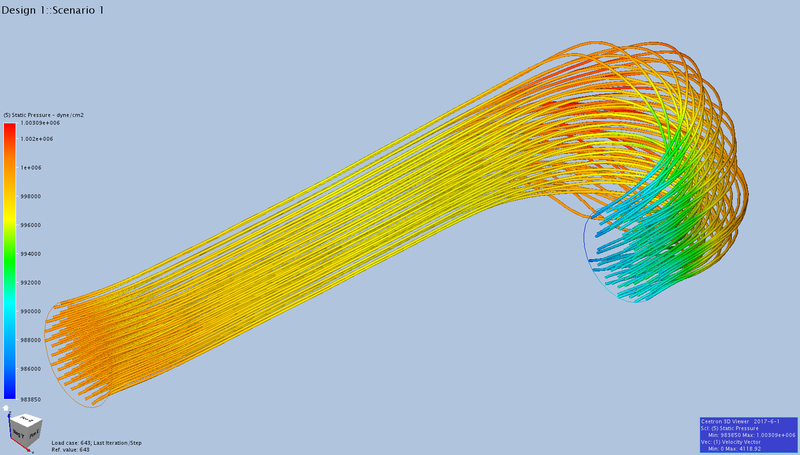 I started simulating flow, even pressure over the throttle body etc. I finally have the design ready. I took me many revisions to get the flow even. The design is 100% organic, so I had to make the adjustments by hand for every revision. I finally ended up with this design. 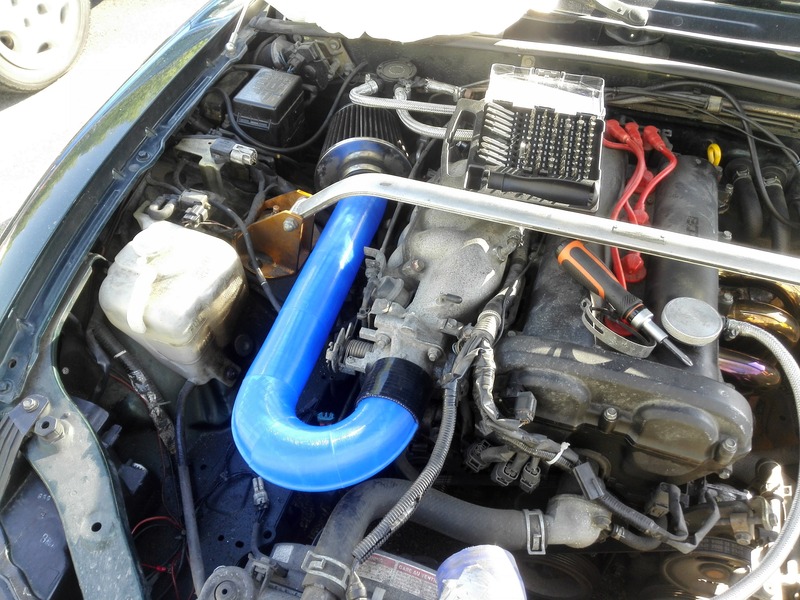 My first cold air intake for the Miata NB is finally done! 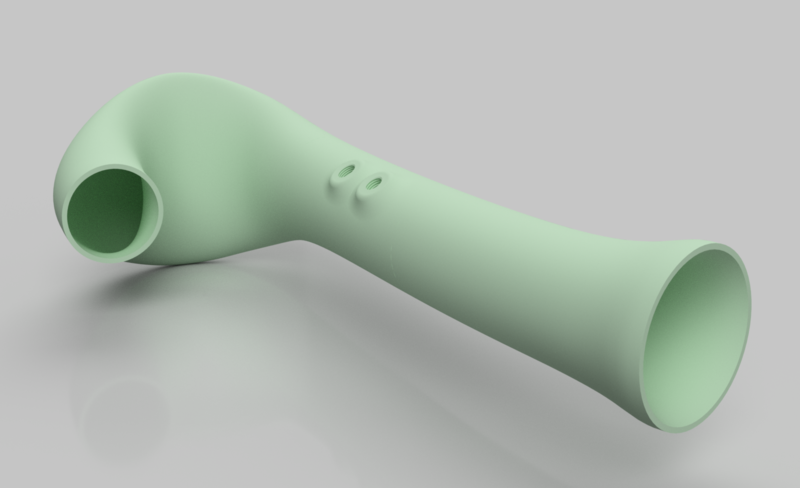 meow I have to print it in ABS and do some testing! 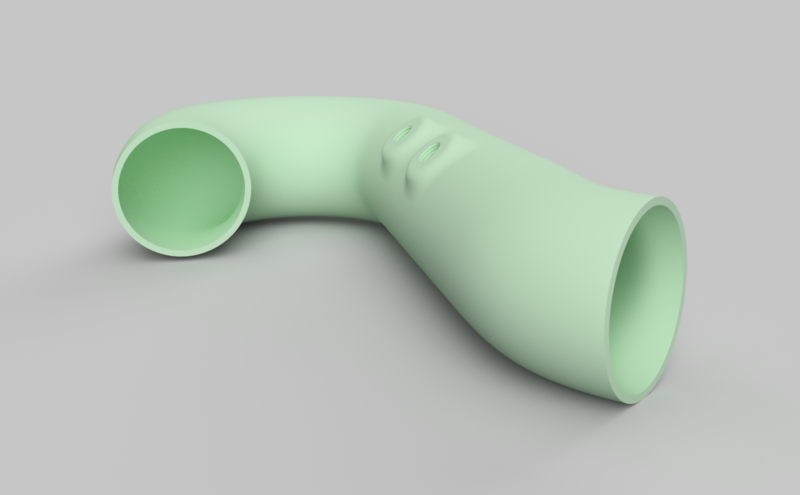 I've finalized the 3D printed intake for the Mazda Miata / MX-5 NB.